On Monday, police received two phone calls regarding Mann. His father called police to request a welfare check saying his son was making “strange comments.” The other call came from Mann’s apartment manager to report a burning smell coming from the suspect’s apartment. The responding officer saw smoke and smelled burned hair upon arriving at the apartment. According to the complaint, Mann admitted he killed, skinned and baked his cat with the intention of eating it. This was confirmed when the deputy noted the cat’s body in the oven. He also found red smears, loose hair and a steak knife in the bathtub, in addition to skin and entrails inside the freezer, according to the complaint. Mann reportedly has a history of drug abuse and mental illness. He was booked into jail after clearing a mental evaluation at Monticello Hospital. 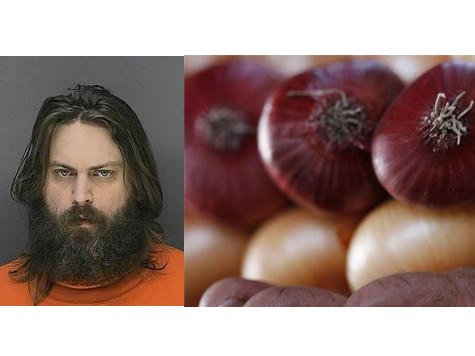 Other baked onion recipes can be found here.